Coral Farrell (S10) took gold in the women’s MC 200m IM after a tight race with UEA Norwich swimmer Catherine Marr. Farrell, who took silver in this event in 2015, upped her game this year to take gold. 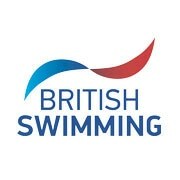 The Warrington Warriors swimmer touched in 2:53.41, taking the title with 583 British Disability Points (BDP). Marr was less than a second slower, and just 14 points behind. The S13 swimmer claimed silver with 2:54.25. Wycombe District’s Katie Crowhurst, also in the S13 classification, clocked 3:00.12 to complete the podium. In the men’s event, Sol Bressat of Jersey Tigers ducked almost three seconds under his PB time to take gold. The 22 year-old S14 swimmer took the win in a time of 2:28.72, scoring 652 BDP. He finished ahead of last night’s silver medallist in the MC 100m Breaststroke, George Kelman-Johns of Clayesmore. S14 swimmer Kelman-Johns took home his second medal in the championships, touching in 2:30.73 for 626 BDP. Worcester’s Matthew Redfern took bronze, just outside his season’s best, making it to the wall in 2:26.92 (598 BDP). Finlay Middleton (S8) put in a great swim in the men’s MC 50m Free, touching in a new personal best time. The Mount Kelly swimmer went sub 31 for the first time, clocking 30.24 (587 BDP) to claim the gold medal. After winning gold in the MC 100m Free yesterday, Aaron Maddox took silver. The S8 swimmer from Ealing touched in 30.45 for 574 BDP. Hastings swimmer Callum Pearson took the final place on the podium with 28.02 (564 BDP). In the women’s event, Ffion Butler (S9) took the gold after a top swim. She just ducked under her PB time, swimming 32.93 for 630 BDP. Catherine Marr took her second silver of the evening, touching in a time of 32.00. Coral Farrell also took her second medal of the evening, this time with bronze in 32.22 (612 BDP).